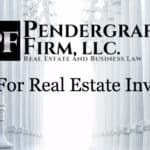 How To Start a LLC in Maryland – The Pendergraft Firm, LLC. 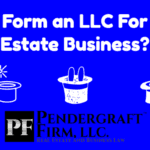 Download The Slides To How To Start a LLC in Maryland. Become a Planlord to receive the legal information and updates to protect your business. Formation of a Limited Liability Company in Maryland starts with two documents, An Articles of Organization and an Operating Agreement. 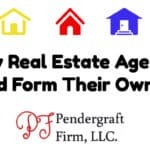 Do it yourself – You can fill in the downloadable State Provided Articles of Organization. Do it yourself Plus – You can draft your own from scratch. An operating agreement is an internal document that should be kept with your businesse’s records. 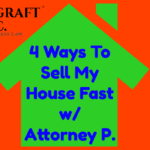 An operating agreement sets forth the rules of how your business is run. Click To TweetIn a single-member LLC an operating agreement can be very simple. 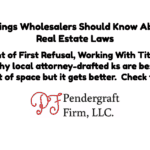 Generally, a single-member LLC is run according to its single-member’s wishes. 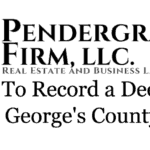 For example, The Pendergraft Firm, LLC. is controlled By Brian Pendergraft. Super easy stuff. The fees range from roughly $100 – $155 depending on whether or not you choose express service. You can find the fee schedule for filing here. Your business must pay taxes. In a single member LLC your businesses profits, losses, and expenses can be claimed right on your W2. For partnerships, a partnership must file on its own and issue its partners a tax form that they use to pay their portion of the taxes. Maryland businesses must pay Maryland State taxes. In addition, there is a personal property tax return that Maryland business must pay each year that cost $300 just to file. I get random bills in the mail just for having an LLC. Is your businesse’s social media handles available? Is your business name too close to another existing business? Contact me and I’ll help you take care of business.